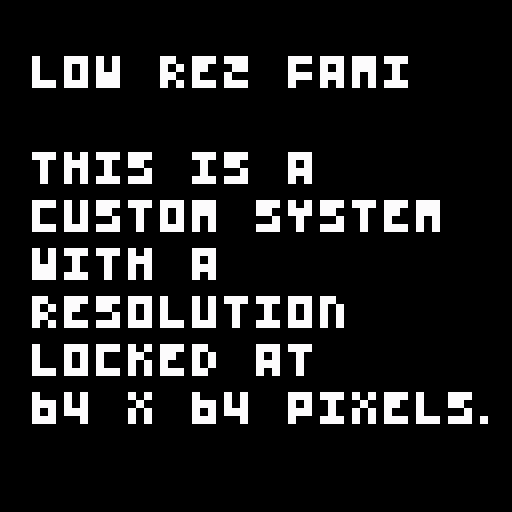 Low Rez Jam is a game jam where you have to create a game with a resolution of 64 x 64 pixels. 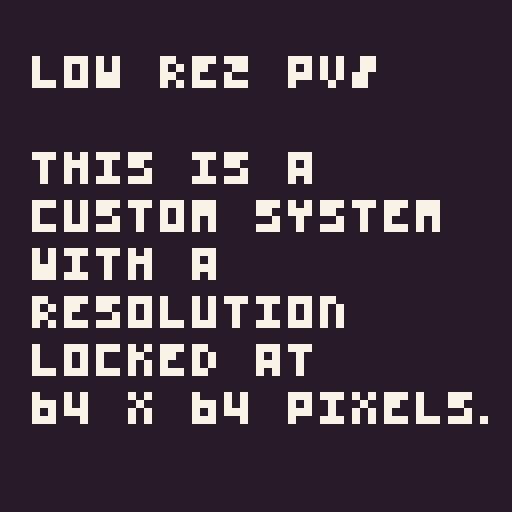 One of Pixel Vision 8’s strengths is being able to customize the system specs to whatever you want. This project provides you with several templates to make a game during the game jam. Has a custom 16 color palette, 4x5 font and no restrictions on colors per sprite or total sprites on the display. Uses the original NES's system colors and limits the number of sprites on the display to 64. Uses the 4 original Gameboy system colors and limits the number of sprites on the display to 40. Feel free to download, install and use these templates during Low Rez Jam or for any of your projects.